The huge development of communication networks, both fixed and mobile, have allowed development of new applications not executed in our computer but executed anywhere in internet. This kind of applications are involved in a new concept called “Cloud Computing” or processing in the cloud (internet). Most of the times it is not known where this application is executed but obviously there is a physical computer underneath. This entry was posted in and tagged Cloud Computing, Cloud Storage, Hosting, IaaS, PaaS, SaaS on January 19, 2016 by master. Welcome to Technology Issues site. Our purpose in this web pages is to explain some concepts and words we find everywhere in a simple and clear way. This pages don’t intend to be the most complete and detailed but explaining and give examples allowing us to have a clear and basic idea about them. We hope they are useful. If you have any comment, question or suggestion don’t hesitate to contact us through our e-mail address info@technology-issues.com. You can also visit our Technology Issues blog. Mobile Networks are continuously improving speed even competing with fix networks and covering more areas. In the opposite, with the same capacity, are more expensive tan fix ones. Thanks to flat fees they have reach a huge development around the world. Fixed Networks are the ones connecting our home, our office or university. In few years we have evolved from modems through telephone line to ADSL and optic fiber connection in our home. It is true fix networks provide the highest capacity but they are not available everywhere. Mostly the high-capacity connections are only available in big cities. Applications are the ones giving sense to all the rest. Internet or Networks have no sense without Internet Explorer, Skype or WhatsApp. Actually we use applications and applications use our devices and communication networks. We include four chapters with our recommendations for mobile devices and windows computers, education environment and enterprise environment as well. Internet is not a network but a lot of them connected. Internet is a set of networks allowing computers and equipment connection at a global level. Nowadays all networks (connected to internet or not) are using internet technology. Why internet has become the biggest and unique public network in the world? The reason could be most of network technologies created in the past were created to be small. Internet was born big and it was designed to be huge. Electricity Network is the base for our technology world. They distribute necessary energy for electronic equipments in our homes, data processing centers, industry and even remote places where mobile network antennas are installed. Additionally fiber optics are deployed together with electricity cables in towers and pipelines. These fiber optics are used by operators for mid and long distance connections. 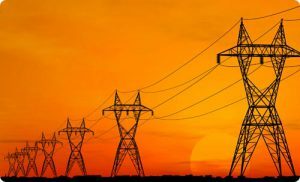 Currently electricity networks are in a kind of revolution with “SmartGrid” technology deployment. This entry was posted in and tagged Application, Cloud Computing, Fixed Networks, Internet, Mobile Networks on January 17, 2016 by master.